Need a break from the partying and gambling that drives Sin City? 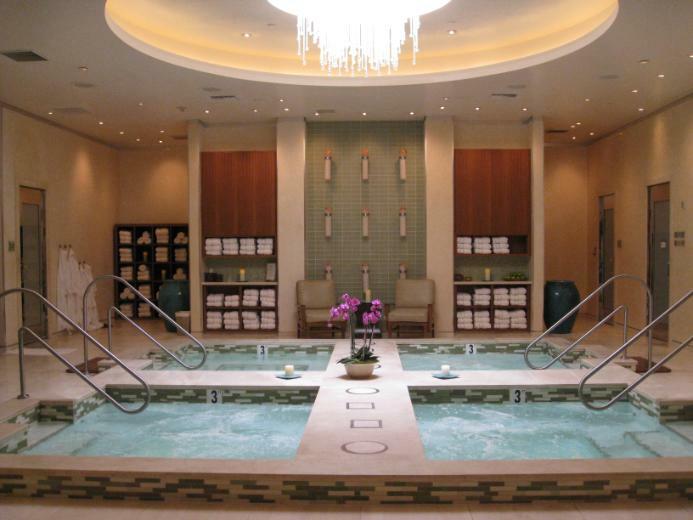 Well, take a look at Hopper's ranking of the five best day spas in Las Vegas for ideas. Even if you think you don't need a spa day – you probably need a spa day. Luckily, the opulence and aesthetic excess of Las Vegas bleeds into their relaxation centers. Saunas that literally look like a desert oasis; every type of Oprah-endorsed miracle herb rubbed over pores; Swarovski crystal drapes to block out the harsh glare of the Nevada sun, there's a spa for every kind of stress, even the drinking-induced kind. So check out our list of the top spas in Las Vegas, and know that you literally can’t make a bad choice when it comes to which one to visit. A spa getaway that tickles all the senses, the Aquavana aquathermal oasis offers an aromatic steam room, dry-heat saunas, herb-infused steam rooms, massage fountains and a number of massage treatments to fix any physical ailment and leave the visitor feeling refreshed and serene – mind, body and spirit. The spa also features a fitness center with a rock wall, acupuncture services and full gym facilities. 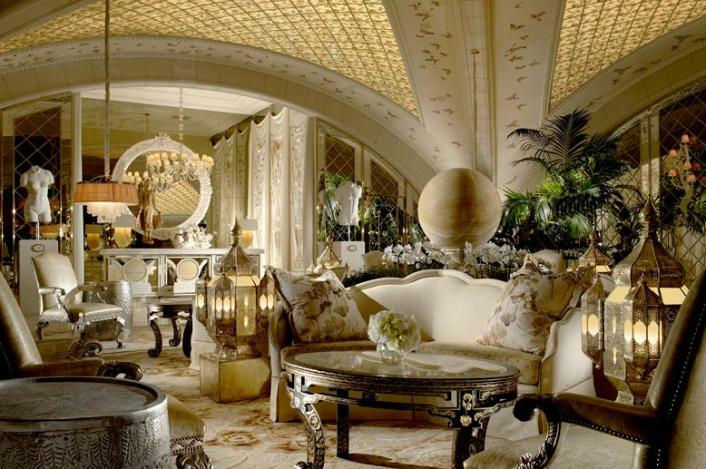 Located in the fabulous The Palazzo Resort Hotel & Casino, guests will never have a reason to leave. Just reading the spa menu here is a relaxing experience. Offering a variety of massages to suit every ache and pain, age-defying facials, body treatments that could rehydrate the Sahara, the Encore Spa at Wynn takes every notch of stress and gently coaxes it out. 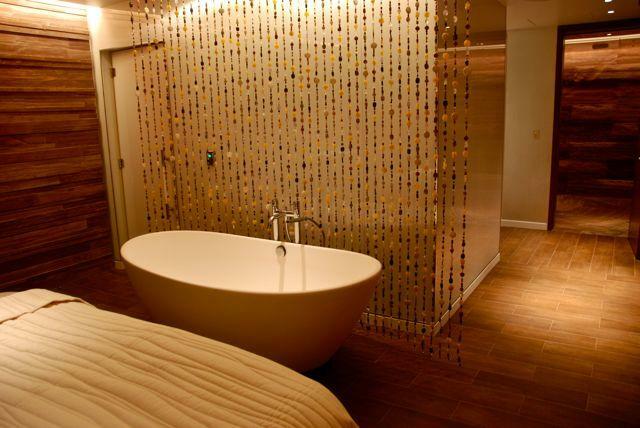 They've got waterfall showers, 37 treatment rooms, 14 naturally-lit garden rooms, all wrapped up in splashes of gold and red with Swarovski crystal details. They've even been raved about in The Snob Magazine – and those guys literally don't do anything but luxuriate. The Wynn is also home to one of Las Vegas' best restaurants for brunch. Read more in this article. Offering delectable face and body treatments such as milk and honey wraps, sugar scrubs, thermal seaweed wrap, and a number of exotic massages such as the Watsu massage, which combines Zen Shiatsu and stretching in a private heated pool, visitors don't just walk out of the Spa Bellagio, they float out. Great for any occasion – an upcoming wedding pampering, a girls' getaway, mother and daughter retreat or a good old spa escape for corporate stress-cases, the Spa Bellagio will gladly accommodate any Las Vegas weekend getaway. The BATHHOUSE is a modern spa without the opulent, gold-flecked feel of the other luxury spas in the neighborhood. The colors are calm and cool – slate-grey, blue, and black with marble and glass details. It's relatively small, compared to the others, and tucked away in THEhotel in Mandalay Bay, making it a nice secluded destination. 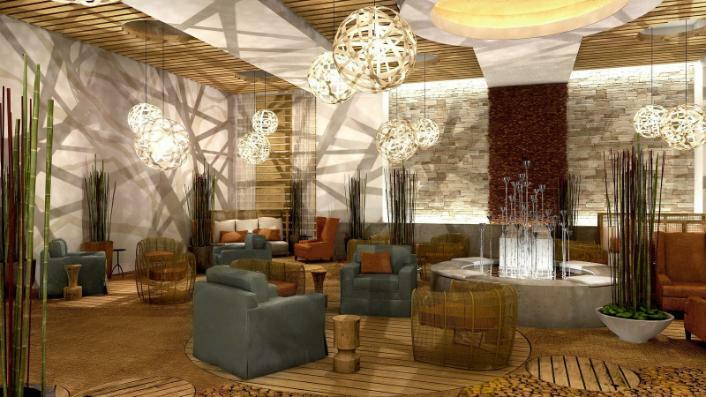 But offers all the amenities of the other spas – whirlpools, facials, a self-serve counter with nuts and infused water – and is a fantastic getaway from the buzz of the Las Vegas Strip. The Mandalay Bay also has an epic pool. You know what else is epic? These Las Vegas pool parties. The Sahra Spa & Hammam is a spa unlike any other. One of the most talked-about relaxation centers in Las Vegas, even walking through the slot-canyon hallway into the spa evokes a serene state of mind. Impeccably designed to take the visitor out of the chaos of Las Vegas and into a re-imagined cool desert oasis, the sauna literally showers water down on the guest; the stone slab in the steam rooms are heated from within; and the monsoon cave is called a "monsoon cave."